PBGS: Harrogate here we come! Well - it's finally here! This coming Saturday 22nd at 2.30pm we'll be taking the stage at Harrogate Theatre alongside fellow society Wolverton G&S, for our spectacular double bill of Trial by Jury and The Zoo! This will be the fourth time that PBGS has appeared at the International Festival (formerly held in Buxton). In 2000 we took The Gondoliers, in 2004 it was Princess Ida, and in 2011 we took our unique G&S Sketch Show to the Festival Fringe. 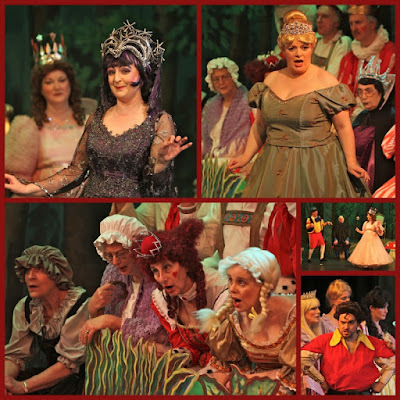 Local supporters who've seen these productions will know that the Harrogate audience is in for a treat, with two sparkling operettas that are very different from anything they will have seen before! 'Break a leg', as they say, to all our performers in both Societies! Tickets are still available for those at the Festival who want to support us. PBGS - what's coming next? Back in triumph from Harrogate!